They’ve played Coachella and SXSW, opened for the Rolling Stones and appeared on Jimmy Kimmel Live and The Late Show with David Letterman –and all with only one full length album, Half the City, under their belt. Follow-up Sea of Noise is out in September and will, the six-piece say, feature “the heart-pounding infusion of old-school R&B, soul, funk and rock that St Paul & The Broken Bones have built their reputation on”. They are, says The Independent, “renowned for going big on their live shows” with frontman Paul ‘ St Paul’ Janeway “melding a frenzied theatricalism with passionate slow-swaying soul”. Please Note – Due to overwhelming popular demand, this event has moved from Trinity to Colston Hall’s main auditorium. 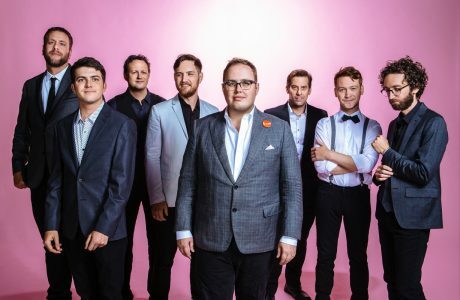 St. Paul and The Broken Bones is a six-piece soul band based out of Birmingham, Alabama, which formed in 2012. The band is composed of Paul Janeway (vocals), Browan Lollar (guitar), Jesse Phillips (bass), Andrew Lee (drums), Al Gamble (keys), and Allen Branstetter (trumpet) but the band also tour with both trombone and baritone saxophone as well. Their first album, ‘Half the City’ was released by Single Lock Records in 2014 which saw critical acclaim from many press outlets and led to them playing Coachella and even snagging a set opening up for the Rolling Stones. Shawn ‘The Harpoonist’ Hall and Matthew ‘The Axe Murderer’ Rogers evoke a grisly nautical imagery. Armed with an arsenal of harmonicas, a mess of foot percussion, and a road-worn Telecaster, the duo kick out raw and primal blues in the tradition of a ‘decades-deep blues style’ (Scott Brown, What’s up Yukon), while infusing the genre with a jolt of renewed energy. Their influences range from the iconic songwriting of Willie Dixon to the boundary pushing of Jack White and Danger Mouse but their sound is distinctly their own, smothered in greasy, gritty soul and imbued with funk. Shawn and Matthew have received considerable recognition in the last few years. They have been nominated for ‘Blues Album of the Year’ at the Junos in 2014, for multiple Maple Blues Awards and won ‘Blues Act of the Year’ at the SiriusXM Indies in 2013. @StP_BrokenBones & @harpaxe smashed it last night @Colston_Hall  come back soon! @harpaxe were a first class support for @StP_BrokenBones @Colston_Hall. Always arrive early and checkout the support. @StP_BrokenBones last night @Colston_Hall was an outstanding gig. Great music and first class stage presence. Catch them if you can. @StP_BrokenBones @Colston_Hall Fantastic gig tonight! Just as good as I'd hoped it would be. Top band with an amazing front man - thank you! RT @FOVCardiff: We really loved the pure energy and passion of @stp_brokenbones at @ccfest last week. Catch them tonight at @Colston_Hall! We really loved the pure energy and passion of @stp_brokenbones at @ccfest last week. Catch them tonight at @Colston_Hall! @Colston_Hall @StP_BrokenBones sounds awesome, I'll get some tickets this pm! 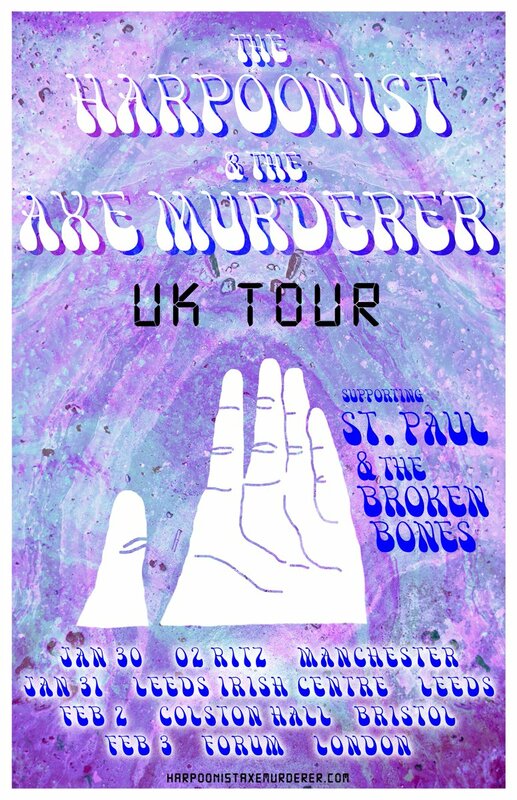 @harpaxe @StP_BrokenBones @Colston_Hall Woo! Colston Hall! @TrinityBristol @StP_BrokenBones @Colston_Hall thank you so much!! @Colston_Hall @StP_BrokenBones this was such an epic gig! This is what we tweeted in June: The totally joyous @StP_BrokenBones at @TrinityBristol tonight. Gigs like this make our job worthwhile.